One day I received an order from my superiors to investigate the nature of an association which was apparently political. It called itself Deutsche Arbeiterparte (The German Worker's Party) and was soon to hold a meeting at which Gottfried Feder would speak. Gottfried Feder (27 January 1883 – 24 September 1941) was an economist, and one of the early key members of the Nazi Party. He was their economic theoretician. 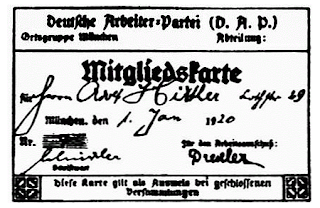 Initially, it was his lecture in 1919 that drew Hitler into the party. 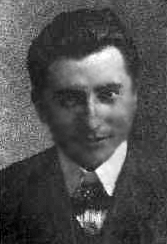 From 1917 on, Feder studied financial politics and economics. 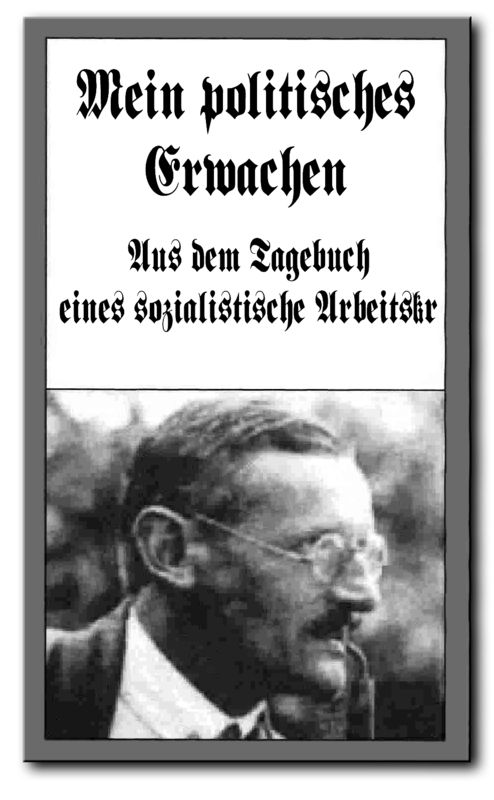 He developed a hostility towards wealthy bankers during World War I, and wrote a "manifesto on breaking the shackles of interest" ("Brechung der Zinsknechtschaft") in 1919. This was soon followed by the founding of a "task force" dedicated to those goals that demanded a nationalisation of all banks and an abolition of interest. In the same year, Feder, together with Anton Drexler, Dietrich Eckart and Karl Harrer, was involved in the founding of the Deutsche Arbeiterpartei (German Workers' Party-DAP). 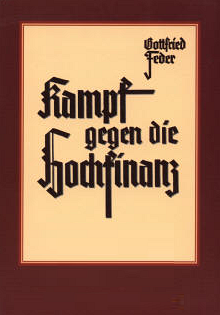 Adolf Hitler met him in summer 1919, and Feder became his mentor in finance and economics. He was the inspirer of Hitler's opposition to "Jewish finance capitalism." I was ordered to attend this meeting and report on the situation. 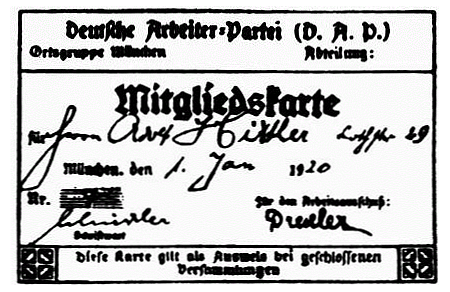 Recent research suggests that this account of Hitler's initial contact with, and involvement with the Deutsche Arbeiterparte (German Worker's Party) (DAP) is a deliberate fabrication. 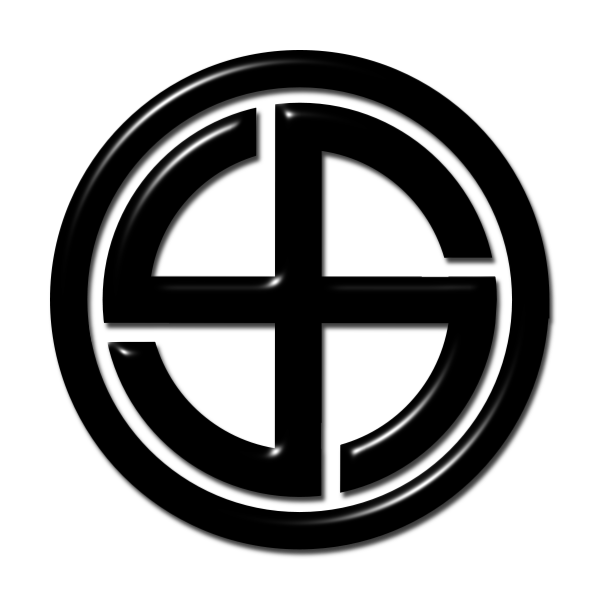 Evidence points to the fact that the DAP had been created by Dietrich Eckart (on behalf of Thule), and Ernst Röhm (on behalf of the Army) as a working class 'political circle' for the Thule Gesellschaft (which mainly consisted of middle-class and aristocratic members). Hitler was given orders by the army, which was partially funding the DAP, to join the DAP and, if necessary, take over the leadership - which is, in fact, what happened. Dietrich Eckart (23 March 1868 – 26 December 1923) was a German journalist and politician and was one of the early key members of the Thule Gesellschaft. In January 1919, Eckart, Feder, Anton Drexler and Karl Harrer founded the Deutsche Arbeiterpartei (German Workers' Party - DAP). 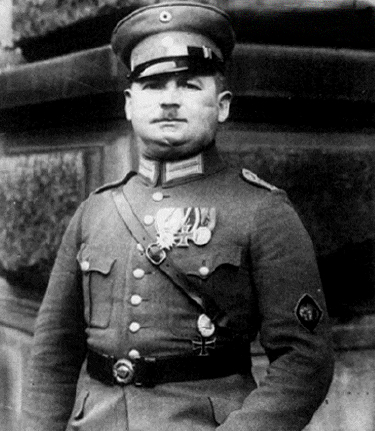 Ernst Julius Günther Röhm (28 November 1887 – 2 July 1934) was a German officer in the Bavarian Army. Following the armistice on 11 November 1918 that ended the war, Röhm continued his military career as an adjutant in the Reichswehr. He was one of the senior members in Colonel von Epp's Bayerisches Freikorps für den Grenzschutz Ost (Freikorps Epp), formed at Ohrdruf in April 1919, which finally overturned the Munich Soviet Republic by force of arms on 3 May 1919. 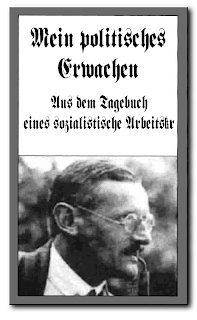 In 1919 he joined the German Workers' Party (DAP) - along with Dietrich Eckart. 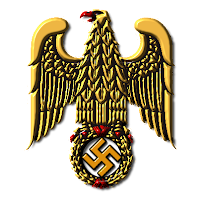 The DAP later became the National Socialist German Workers Party (NSDAP). Not long afterward he met Adolf Hitler, and they became political allies and close friends. The spirit of curiosity in which the army authorities then regarded political parties can be very well understood. The Revolution had granted the soldiers the right to take an active part in politics and it was particularly those with the smallest experience who had availed themselves of this right, but not until the Centre and the Social-Democratic parties were reluctantly forced to recognize that the sympathies of the soldiers had turned away from the revolutionary parties towards the national movement and the national reawakening, did they feel obliged to withdraw from the army the right to vote and to forbid it all political activity. The fact that the Centre and Marxism had adopted this policy was instructive, because if they had not thus curtailed the ‘rights of the citizen’ – as they described the political rights of the soldiers after the Revolution – the government which had been established in November 1918 would have been overthrown within a few years and the dishonour and disgrace of the nation would not have been further prolonged. At that time the soldiers were on the point of taking the best way to rid the nation of the vampires and valets who served the cause of the Entente in the interior of the country. But the fact that the so-called ‘national’ parties voted enthusiastically for the doctrinaire policy of the criminals who organized the Revolution in November (1918) helped also to render the army ineffective as an instrument of national restoration and thus showed once again where men might be led by the purely abstract notions accepted by these most gullible people. The minds of the bourgeois middle classes had become so fossilized that they sincerely believed the army could once again become what it had previously been, namely, a rampart of German valour; while the Centre Party and the Marxists intended only to extract the poisonous tooth of nationalism, without which an army must always remain just a police force but can never be in the position of a military organization capable of fighting against the outside enemy. This truth was sufficiently proved by subsequent events. Or did our ‘national’ politicians believe, after all, that the development of our army could be other than national ? This belief might be possible and could be explained by the fact that during the War they were not soldiers but merely talkers. In other words, they were parliamentarians, and, as such, they did not have the slightest idea of what was passing in the hearts of those men who remembered the greatness of their own past and also remembered that they had once been the first soldiers in the world. I decided to attend the meeting of this Party, which had hitherto been entirely unknown to me. When I arrived that evening in the guest room of the former Sternecker Brau (Star Corner) – which has now become a place of historical significance for us – I found approximately 20–25 persons present, most of them belonging to the lower classes. The theme of Feder’s lecture was already familiar to me; for I had heard it in the lecture course I have spoken of. Therefore, I could concentrate my attention on studying the society itself. The impression it made upon me was neither good nor bad. I felt that here was just another one of these many new societies which were being formed at that time. In those days everybody felt called upon to found a new Party whenever he felt displeased with the course of events and had lost confidence in all the parties already existing. Thus it was that new associations sprouted up all round, to disappear just as quickly, without exercising any effect or making any noise whatsoever. Generally speaking, the founders of such associations did not have the slightest idea of what it means to bring together a number of people for the foundations of a party or a movement, therefore these associations disappeared because of their woeful lack of anything like an adequate grasp of the necessities of the situation. My opinion of the Deutsche Arbeiterparte was not very different after I had listened to their proceedings for about two hours. I was glad when Feder finally came to a close. I had observed enough and was just about to leave when it was announced that anybody who wished was free to open a discussion. Thereupon, I decided to remain, but the discussion seemed to proceed without anything of vital importance being mentioned, when suddenly a ‘professor’ commenced to speak. He opened by throwing doubt on the accuracy of what Feder had said, and then. 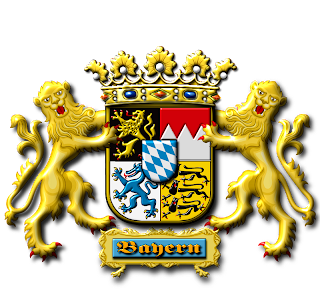 after Feder had replied very effectively, the professor suddenly took up his position on what he called ‘the basis of facts,’ but before this he recommended the young party most urgently to introduce the secession of Bavaria from Prussia as one of the leading proposals in its programme. 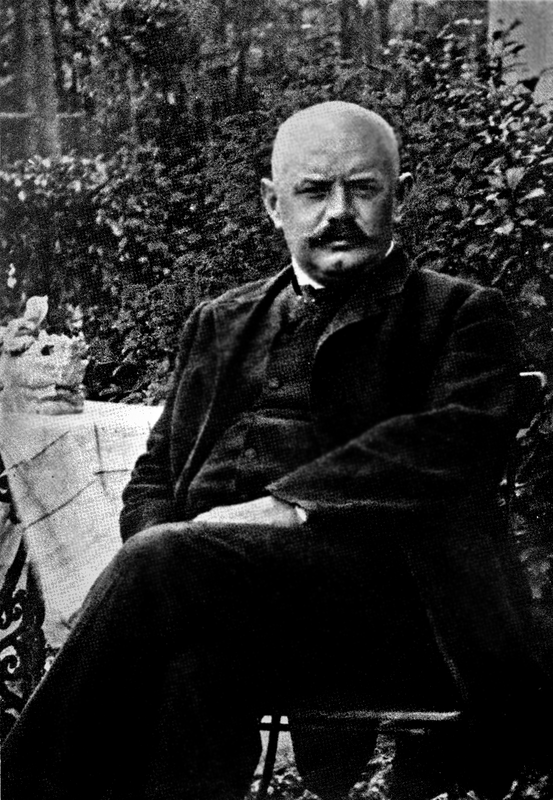 In the most self-assured way, this man kept on insisting that German-Austria would join Bavaria and that the peace would then function much better. He made other similarly extravagant statements. At this juncture I felt bound to ask for permission to speak and to tell the learned gentleman what I thought. The result was that the honourable gentleman who had last spoken slipped out of his place, like a whipped cur, without uttering a sound. While I was speaking the audience listened with an expression of surprise on their faces. When I was just about to say good-night to the assembly and to leave, a man came after me quickly and introduced himself. I did not grasp the name correctly; but he placed a little book in my hand, which was obviously a political pamphlet, and asked me very earnestly to read it. I was quite pleased; because in this way, I could come to know about this association without having to attend its tiresome meetings. Moreover, this man, who had the appearance of a workman, made a good impression on me. Thereupon, I left the hall. At that time I was living in one of the barracks of the 2nd Infantry Regiment. I had a little room which still bore the unmistakable traces of the Revolution. During the day I was mostly out, at the quarters of Light Infantry No. 41 or else attending meetings or lectures, held at some other branch of the army. I spent only the night at the quarters where I lodged. Since I usually woke up about five o’clock every morning I got into the habit of amusing myself with watching little mice which played around in my small room. I used to place a few pieces of hard bread or crust on the floor and watch the funny little beasts playing around and enjoying themselves with these delicacies. I had suffered so many privations in my own life that I well knew what hunger was and could only too well picture to myself the pleasure these little creatures were experiencing. So on the morning after the meeting I have mentioned, it happened that about five o’clock I lay fully awake in bed, watching the mice playing and vying with each other. As I was not able to go to sleep again, I suddenly remembered the pamphlet that one of the workers had given me at the meeting. It was a small pamphlet of which this worker was the author. In his little book he described how his mind had thrown off the shackles of the Marxist and trades-union phraseology, and that he had come back to the nationalist ideals. That was the reason why he had entitled his little book: "My Political Awakening". The pamphlet secured my attention the moment I began to read, and I read it with interest to the end. The process here described was similar to that which I had experienced in my own case ten years previously. Unconsciously my own experiences began to stir again in my mind. During that day my thoughts returned several times to what I had read; but I finally decided to give the matter no further attention. A week or so later, however, I received a postcard which informed me, to my astonishment, that I had been admitted into the German Labour Party. I was asked to answer this communication and to attend a meeting of the Party Committee on Wednesday next. This manner of getting members rather amazed me, and I did not know whether to be angry or laugh at it. Hitherto I had not any idea of entering a party already in existence but wanted to found one of my own. Such an invitation as I now had received I looked upon as entirely out of the question for me. I was about to send a written reply when my curiosity got the better of me, and I decided to attend the gathering at the date assigned, so that I might expound my principles to these gentlemen in person. 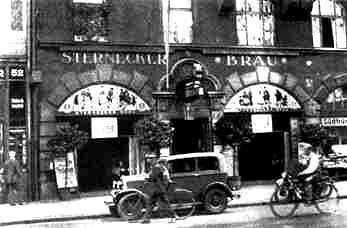 The tavern in which the meeting was to take place was the ‘Alte Rosenbad’ in the Herrnstrasse, into which apparently only an occasional guest wandered. This was not very surprising in the year 1919, when the bills of fare even at the larger restaurants were only very modest and scanty in their pretensions and thus not very attractive to clients. But I had never before heard of this restaurant. I went through the badly-lighted guest-room, where not a single guest was to be seen, and searched for the door which led to the side room; and there I was face-to-face with the ‘Congress’. Under the dim light shed by a grimy gas-lamp I could see four young people sitting around a table, one of them the author of the pamphlet. He greeted me cordially and welcomed me as a new member of the German Labour Party. I was taken somewhat aback on being informed that actually the National President of the Party had not yet come; so I decided that I would keep back my own exposition for the time being. He was the man who had been chairman of the meeting held in the Sternecker Brewery, when Feder spoke. My curiosity was stimulated anew and I sat waiting for what was going to happen. Now I got at least as far as learning the names of the gentlemen who had been parties to the whole affair. 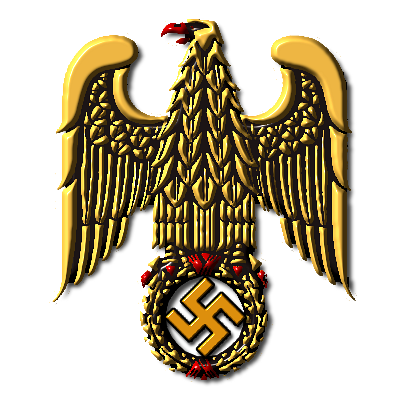 The Reich National President of the Association was a certain Herr Harrer and the President for the Munich district was Anton Drexler. Karl Harrer (8 October 1890 - 5 September 1926) was a German journalist and politician, one of the founding members of the "Deutsche Arbeiterpartei" (German Workers' Party, DAP) in January 1919. 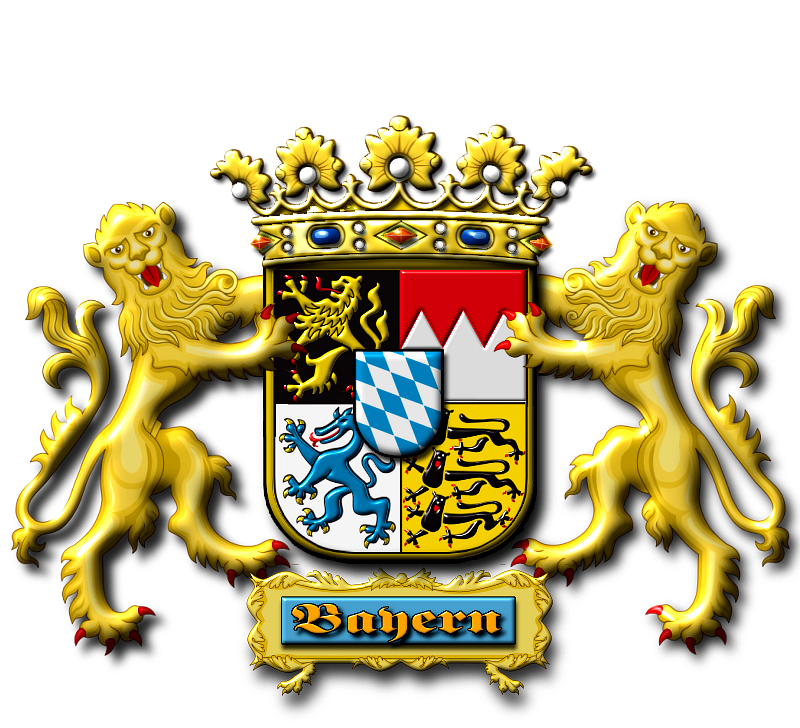 Harrer was ordered by the Thule Society to try and politically influence German workers in Munich after the end of World War I. At the time, Harrer was a reporter with a "right-wing" newspaper. He and fellow Thule Society member Anton Drexler, and several others formed the Politischer Arbeiterzirkel (Political Workers' Circle) in 1918. The members met periodically for discussions with themes of nationalism, and racism directed against the Jews. Although Harrer preferred that the small group remain a semi-secret nationalistic club, Drexler wanted to make it a political party. Thereafter, Drexler proposed the founding of the DAP in December, 1918. On January 5, 1919, the DAP was formed, in which not only Harrer and Drexler but also Gottfried Feder and Dietrich Eckart were involved. 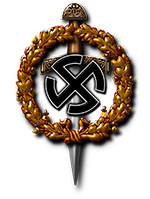 With the DAP founding, Drexler was elected chairman and Harrer was made "Reich Chairman", an honorary title. 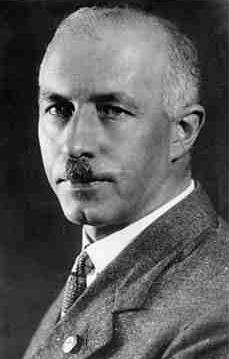 Karl Harrer died, not quite 36, of natural causes in Munich. 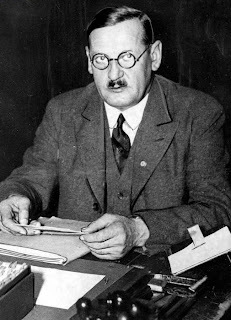 Anton Drexler (13 June 1884 – 24 February 1942) was a German far-right political leader of the 1920s, instrumental in the formation of the anti-communist German Workers' Party (Deutsche Arbeiterpartei - DAP). 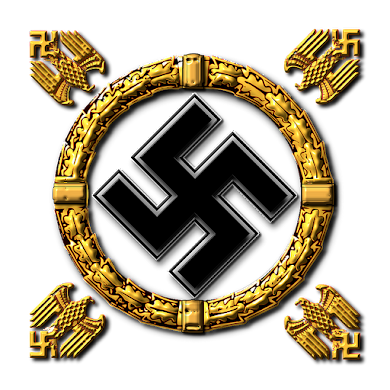 Drexler, along with Dietrich Eckart, served as mentor to Adolf Hitler during his early days in politics. 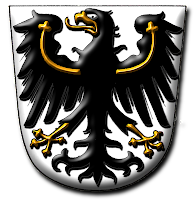 Drexler was also a member of a völkisch political club for affluent members of Munich society known as the Thule Gesellschaft. The minutes of the previous meeting were read out and a vote of confidence in the secretary was passed. Then came the treasurer’s report. The Society possessed a total fund of seven marks and fifty pfennigs, whereupon the treasurer was assured that he had the confidence of the members. This was now inserted in the minutes. Then letters of reply which had been written by the Chairman were read; first, to a letter received from Kiel, then to one from Düsseldorf and finally to one from Berlin. All three replies received the approval of all present. Then the incoming letters were read – one from Berlin, one from Düsseldorf and one from Kiel. The reception of these letters seemed to cause great satisfaction. This increasing bulk of correspondence was taken as the best and most obvious sign of the growing importance of the German Labour Party. Well, there followed a long discussion of the replies which would be given to these newly-received letters. It was all very awful. This was the worst kind of parish-pump clubbism. And was I supposed to become a member of such a club ? The question of new members was next discussed – that is to say, the question of catching myself in the trap. I now began to ask questions. But I found that, apart from a few general principles, there was nothing – no programme, no pamphlet, nothing at all in print, no card of membership, not even a party stamp, nothing but obvious good faith and good intentions. I no longer felt inclined to laugh; for what else was all this but a typical sign of the most complete perplexity and deepest despair in regard to all political parties, their programmes and views and activities ? The feeling which had induced those few young people to join in what seemed such a ridiculous enterprise was nothing but the call of the inner voice which told them – though more intuitively than consciously – that the whole party system as it had hitherto existed was not the kind of force that could restore the German nation or repair the damages that had been done to the German people by those who hitherto controlled the internal affairs of the nation. I quickly read through the list of principles that formed the platform of the party. These principles were stated on typewritten sheets. Here again I found evidence of the spirit of longing and searching, but no sign whatever of a knowledge of the conflict that had to be fought. I myself had experienced the feelings which inspired those people. It was the longing for a movement which should be more than a party, in the hitherto accepted meaning of that word. When I returned to my room in the barracks that evening I had formed a definite opinion on this association and I was facing the most difficult problem of my life. Should I join this party or refuse? From the side of the intellect alone, every consideration urged me to refuse; but my feelings troubled me. The more I tried to prove to myself how senseless this club was, on the whole, the more did my feelings incline me to favour it. During the following days I was restless. I began to consider all the pros and cons. I had long ago decided to take an active part in politics. The fact that I could do so only through a new movement was quite clear to me; but I had hitherto lacked the impulse to take concrete action. I am not one of those people who will begin something to-day and just give it up the next day for the sake of something new. That was the main reason which made it so difficult for me to decide in joining something newly founded; for this must become the real fulfilment of everything I dreamt, or else it had better not be started at all. I knew that such a decision should bind me for ever and that there could be no turning back. For me there could be no idle dallying but only a cause to be championed ardently. I had already an instinctive feeling against people who took up everything, but never carried anything through to the end. I loathed these Jacks-of-all-Trades, and considered the activities of such people to be worse than if they were to remain entirely quiescent. Fate herself now seemed to supply the finger-post that pointed out the way. I should never have entered one of the big parties already in existence and shall explain my reasons for this later on. This ludicrous little formation, with its handful of members, seemed to have the unique advantage of not yet being fossilized into an ‘organization’ and still offered a chance for real personal activity on the part of the individual. Here it might still be possible to do some effective work; and, as the movement was still small, one could all the easier give it the required shape. Here it was still possible to determine the character of the movement, the aims to be achieved and the road to be taken, which would have been impossible in the case of the big parties already existing. The longer I reflected on the problem, the more my opinion developed that just such a small movement would best serve as an instrument to prepare the way for the national resurgence, but that this could never be done by the political parliamentary parties which were too firmly attached to obsolete ideas or had an interest in supporting the new regime. What had to be proclaimed here was a new Weltanschhauung and not a new election cry. It was, however, infinitely difficult to decide on putting the intention into practice. 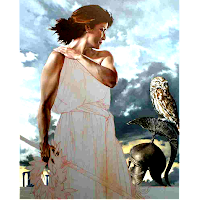 What were the qualifications which I could bring to the accomplishment of such a task ? The fact that I was poor and without resources could, in my opinion, be the easiest to bear. Chance allows to exist or cease to exist, whom even their next-door neighbours will not consent to know. Another difficulty arose from the fact that I had not gone through the regular school curriculum. The so-called ‘intellectuals’ still look down with infinite superciliousness on anyone who has not been through the prescribed schools and allowed them to pump the necessary knowledge into him. The question of what a man can do is never asked but rather, what has he learned ? ‘Educated’ people look upon any imbecile who is plastered with a number of academic certificates as superior to the ablest young fellow who lacks these precious documents. Because of their being as they are, the few exceptions stand out all the more conspicuously. I learned more and more to distinguish between those who will always be at school and those who will one day come to know something in reality. After two days of careful brooding and reflection I became convinced that I must take the contemplated step. It was the most fateful decision of my life. Thus I declared myself ready to accept the membership tendered me by the Deutsche Arbeiterparte and received a provisional certificate of membership. 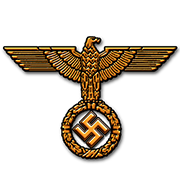 The German Workers' Party (German: Deutsche Arbeiterpartei, abbreviated DAP) was the short-lived predecessor of the Nazi Party (German: Nationalsozialistische Deutsche Arbeiterpartei, abbreviated NSDAP). The DAP was founded in Munich in the hotel "Fürstenfelder Hof" on January 5, 1919 by Anton Drexler, a member of the occultist Thule Gesellschaft. 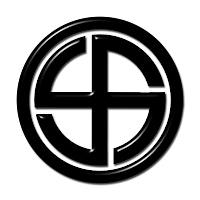 It developed out of the 'Freien Arbeiterausschuss für einen guten Frieden' (Free Workers' Committee for a good Peace) league, a branch of which Drexler had founded in 1918. Thereafter in 1918, Karl Harrer (a journalist and member of the Thule Gesellschaft), along with Drexler and several others formed the 'Politischer Arbeiterzirkel' (Political Workers' Circle), as well. The members met periodically for discussions with themes of nationalism and racism directed against the Jews. Drexler was then encouraged to form the DAP in December 1918 by his mentor, Dr. Paul Tafel, a leader of the 'Alldeutscher Verband' (Pan-Germanist Union), a director of the Maschinenfabrik (Engineering Works) Augsburg-Nürnberg, also a member of the Thule Gesellschaft and his wish for a political party which was both in touch with the masses and nationalist. In January 1919 with the DAP founding, Drexler was elected chairman and Harrer was made "Reich Chairman", an honorary title. 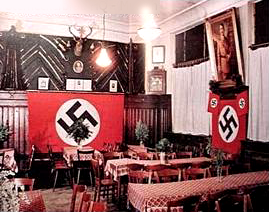 The membership was scarce as the original DAP's meetings were reduced to the local beer houses. On May 17, there were only ten members present at the meeting; a later meeting in August only noted 38 members attended.